Here’s my obligatory steampunk post of the month, since I’ve not posted anything steampunkish since December. 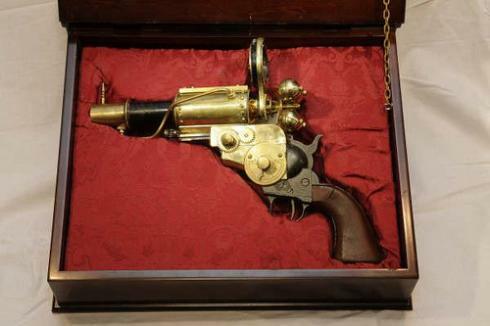 It’s a large collection of 24 steampunk guns, blades, and other wonky weapon things. Check it out at walyou.com! Next story Complete Idiot's Guide Indeed!